No one on this earth is born with perfection it is the determination of a person which makes him stronger and sharper. Some times we all make childish mistakes and big blunders as Bloggers but the one who learns from his mistakes prove to be a stand out performer. It depends on us, how long we’ll continue our same mistakes? And the day we will discover the answer of this question our world of blogging would be changed dramatically. Ever Blogger is passionate about his blogging techniques but some time we makes silly mistakes which cause a down fall not only in our traffic but also in our blog reputation. It is the bitter truth that, it takes years to establish our self as an ideal blogger but only one silly mistake could destroy our entire blogging career. So it’s crucial that we learn from our mistakes and never repeat them. So its time to motivate your self, don’t look in your past as we are in present and future is waiting for us. Motivation is the best way to ignore all our previous mistakes as those mistakes is now the part of the history. 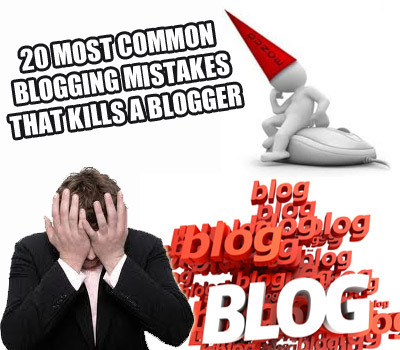 This is the reason why today we will discuss the most common blogging mistakes which not only kills our blogging carrier as a blogger but also destroys our blog. 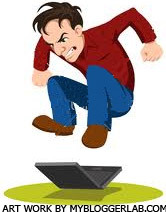 This is old trend that “Man Learns From His Mistakes” so we will continue the trend and after going through this posts we will hatch out as a perfect blogger. 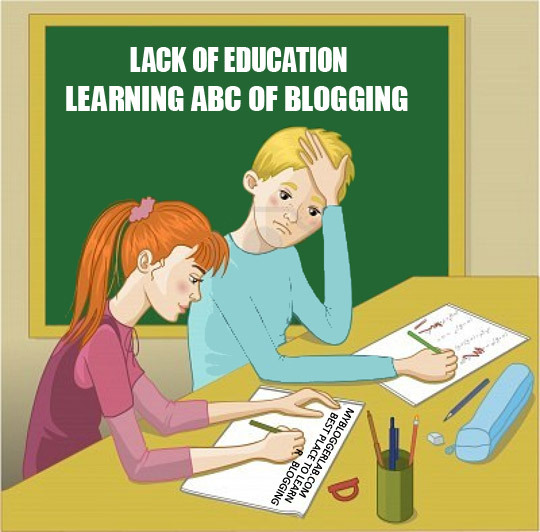 In this post we will cover the Top 10 Most Common Blogging Mistakes while next 10 logical and effective tips will be shared in the coming days. 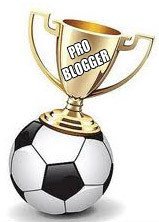 Selecting the goal is really important for every blogger it is one of the silliest mistakes that we commits. What we want to accomplish from our blogging career? This is the question which often revolves in our mind and still we are not capable to react. It’s really crucial that we set our goal, we could start from small goals (One step forward two Steps back) and after achieving all our small goals we could jump to higher level. So we should plan each and every step and should follow the correct strategy to make our self stand out blogger. If you still believe that blogging is the one day show then it is the biggest blunder that you had ever committed. Blogging is the name of patience as over night you cannot become a successful blogger. Even when I started blogging I was lacking patience but soon I realized that it is the biggest weapon of a blogger as patience can make or break our blogging career. If we lack patience then we are hurting our own abilities. 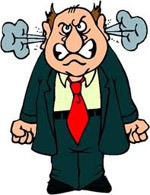 Gaining traffic is the biggest headache of a blogger in this case we should not get depressed instead we should remain calm and show patience and should wait for the correct time when we see a boost in our traffic. Content is the king, a blog is only knows for its content. But we often see some of our posts which has no starting or ending even we get confused what we had done. So we should try to make our post as simple as we can instead of writing complicated post we should chose straightforward words. 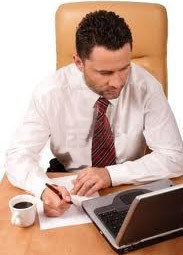 Make sure you have all the sufficient information and knowledge on the topic that you are going to write. No one in this earth is born with perfection it is the education which makes a person skillful and knowledgeable. We all learn from each other and then promote it in our own unique style. 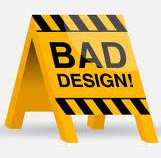 For instance if a visitor arrived on your blog but he don’t found you post interesting then it will leave a negative mark on the visitors impression. So it’s vital that we all hunt for knowledge as education lead toward success. Again it comes to our patience, as I mentioned previously no one on this earth is born with perfection and same goes for our blog. We should remember that no one can get thousands of visitors in just few days of blogging. Instead of checking blog traffic statistics again and again we should concentrate on building our content as it is the most important objective for a blogger. You could ever think that a News channel give updates once in a week, off course not. And same goes for our blog it is the content which brings traffic to our blog and if we lack posting consistency then for sure we will suffer from huge decline in the audience. We should update our blog once or twice in a day because keeping our blog up to date is the best way to gain attention of the spectators. Social media is the most important source of traffic for every blogger so its time that we should take advantage of this fruitful opportunity. 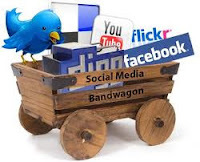 Social media not only gives exposure to our blog but also brings thousands of daily visitors. So we need to make sure that we have a Facebook Page, Twitter, Google Plus, Pinterest and etc where we could share articles. When a blogger starts blogging his main aim is to drive traffic to his website and SEO (Search Engine Optimization) is the most reliable way to build traffic. But most of the Bloggers don’t concentrate on there SEO and hence they never achieve what they deserve. If your blog has content but lacks SEO then this situation is same as an ice cream with out ice. 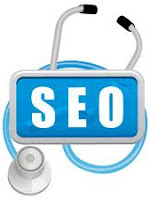 SEO plays anchor role in fact it is considered as a backbone of a blog. The following articles would help you to learn more about SEO. The design of our blog should be attractive as design of our blog speaks how dedicated we are towards blogging. For instance, a visitor arrived on our blog and in his first impression he discovered that our blog is not in a systematic order and hence without reading any posts he quits. Make sure your blog design has correct color scheme with normal coloring, don’t over do it just keep it simple. My Blog is 6 month Old But Still Not Getting More Than 300-400 Page Views/Day. I Checked Your Blog and I Discovered that you previously owns a self hosted blog and now you have converted it into Blogger, Am i right. As there are so many pages indexed in Google which are not found on your Blog.But it is not the Case. Ya u r right,First it was a forum...404 pages will affect my SERP OR Page rank? Brother there is no problem with your blog. And your content is also very appreciable. The reason why you are not getting traffic is due to the continues changes you did with your site. Now all you need to do is to Post quality content which you are doing already. Try to do some guest posts to get the Page rank Juice this will Increase your SERP. 404 will affect my SERP OR PAFERANK? Bro It depends on The situation For Example if you have a Certain Post of Page Rank 3 and If you delete that post then it will effect your PageRank Juice. In this situation you can use Blogger URL Redirect Tool and can redirect the deleted post to your home page so you get the Page Rank Juice. While if any page for example www.mybloggerlab.com/404 This page has no importance as it is unknown so if you are getting worried of unknown 404 Pages then you don't need to feel any stress it will not hurt your Blog. Thanks.Peace And Blessings. I have a blog www.newmobilesinfo.in which is about 10 months old. Still it is lacking of traffic. It is getting only 200 pageviews per day. I need some suggestions from you to improve my blog traffic. Thanx.. I check your website, its very well. Just concentrate more on your content and they to publish more post in a day. Spread your Posts on Social media i.e. Facebook, Twitter and etc. Publish posts on same timing perday. Do guest posts to get PR Juice. Hope That Helps. Peace and Blessings! I really like your blog, and it is now like a book for me where i am reading each and every topic which you shared with your experience. Hat's off for the content. my blog is 4 months old and now it has showed an increase in traffic. Then only point i am not getting is the revenue from adsense which is quite low - although i am able to fetch 300 visitor per day. Thanks For Appreciating Our Work, And I Saw your Blog and Really you are going in right direction. However, the only reason why you are not earning Well is Your Domain. I Would Suggest you to convert your Current Blog into professional .com Domain. It Will give you more exposure on Search engine and your visitors will able to remember your Domain.